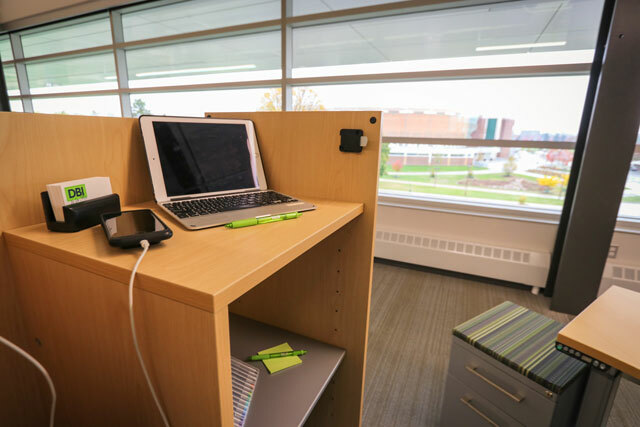 Nestled just across from the Breslin Student Events Center, 1855 Place, MSU’s new housing and mixed-use development complex offers students with fa miles more independence while staying connected to the perks of campus living. 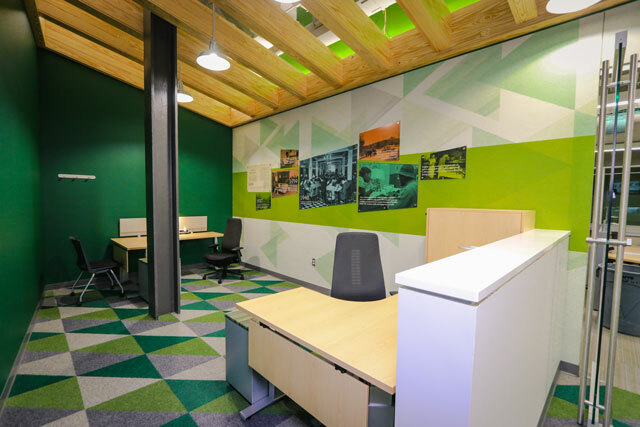 Named in honor of the year MSU was founded, these one, two, and four-bedroom contemporary units offer Spartans numerous on-site amenities. 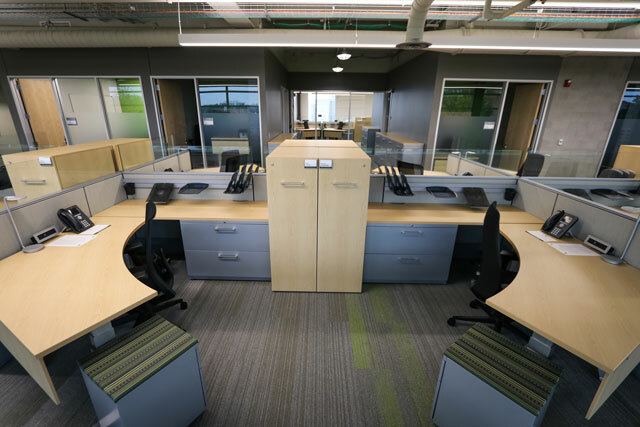 DBI designed and provided our client with several mockup workstations for evaluation and to acquire feedback prior to final signoffs. 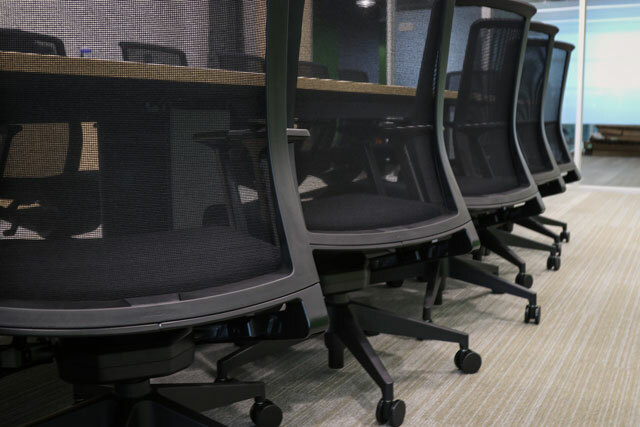 OBJECTIVE: To centralize Residential & Hospitality Services to one location, creating spaces to accommodate and function for their everyday needs. 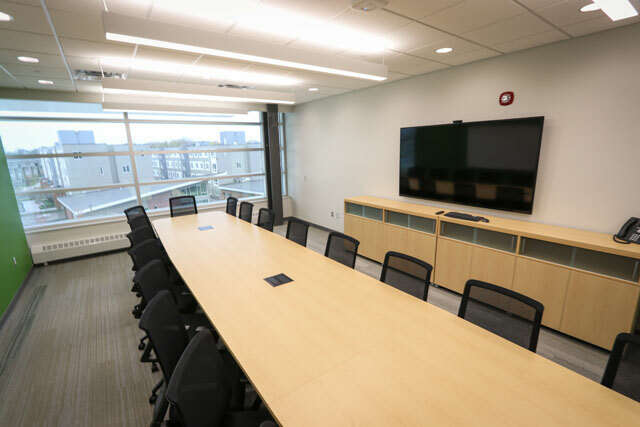 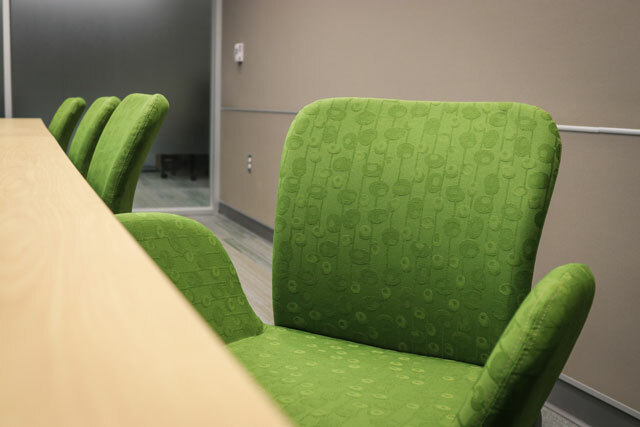 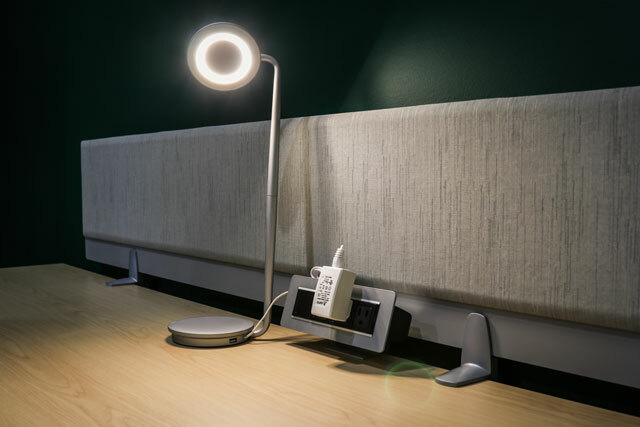 Create collaborative spaces optimizing the campus vistas and incorporate end-users into the process by allowing them to select their own task seating options based on their individual preferences. 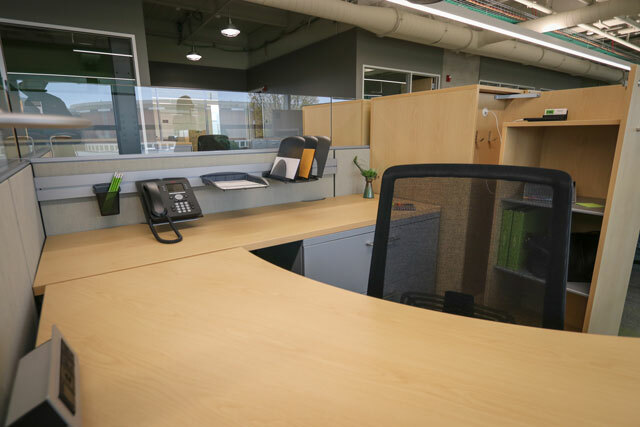 SOLUTION: Use of low, glass panels created open space workstations, maximized visibility and assisted in meeting LEED certification. 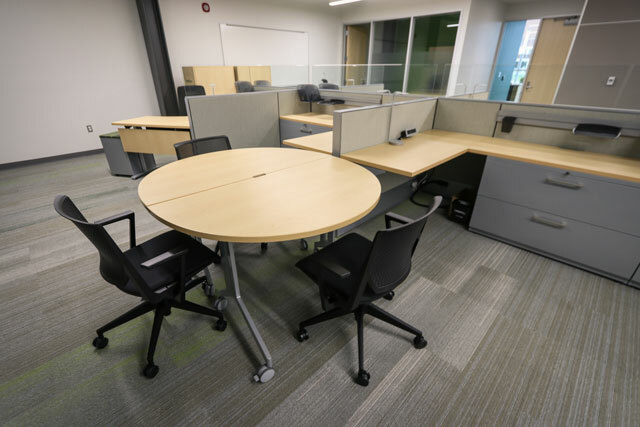 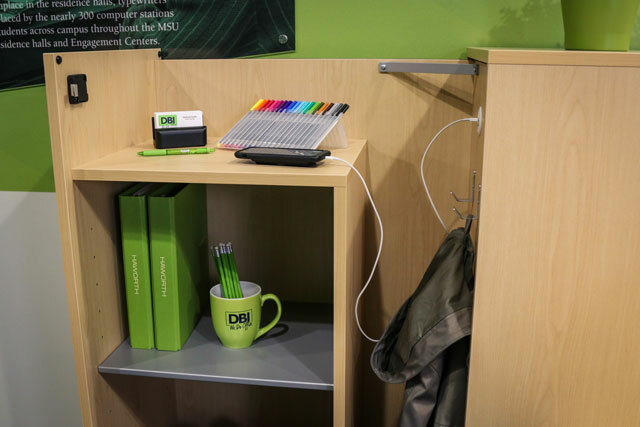 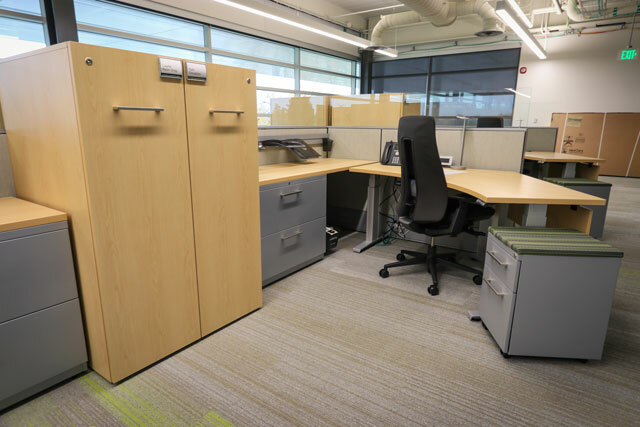 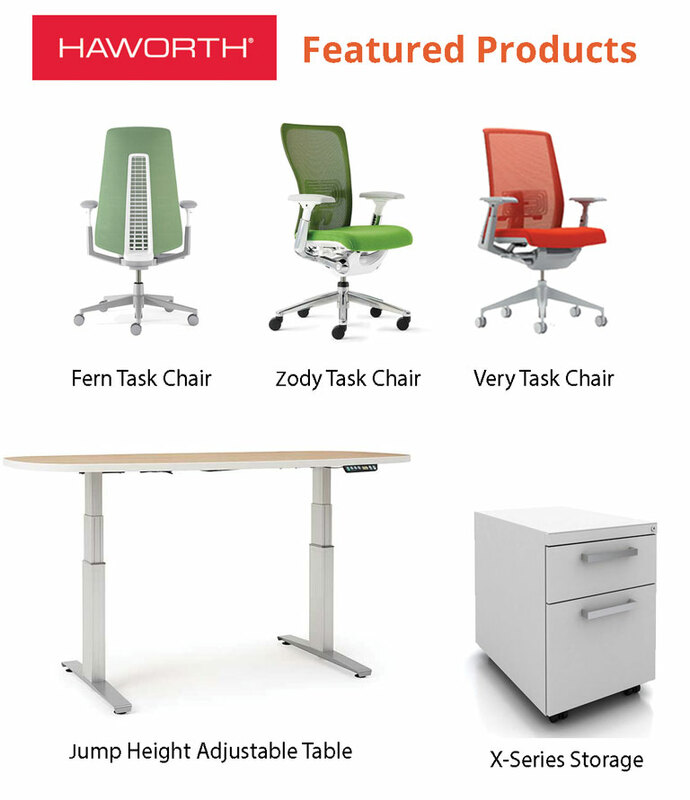 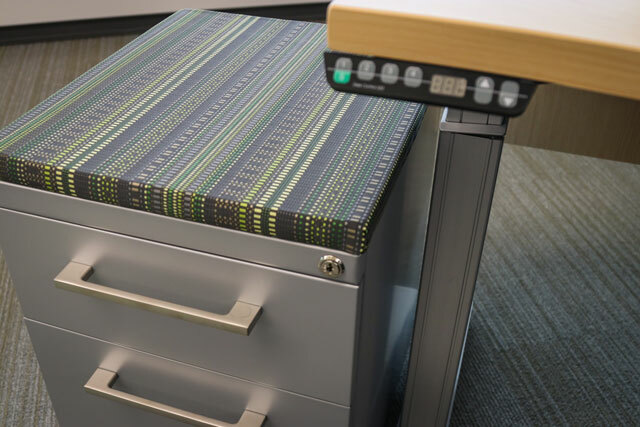 Height adjustable tables and upgraded storage options were used in the larger workstations and DBI provided education and opportunities for each employee to “test drive” and then select their task seating to suit their needs. 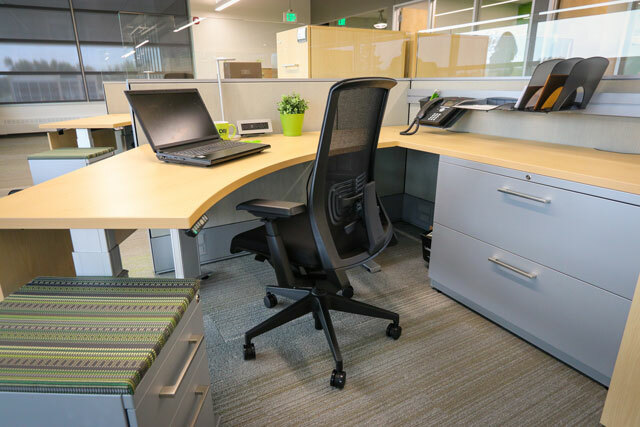 LEED CERTIFICATION: LEED (Leadership in Energy and Environmental Design) is the most widely used green building rating system in the world. 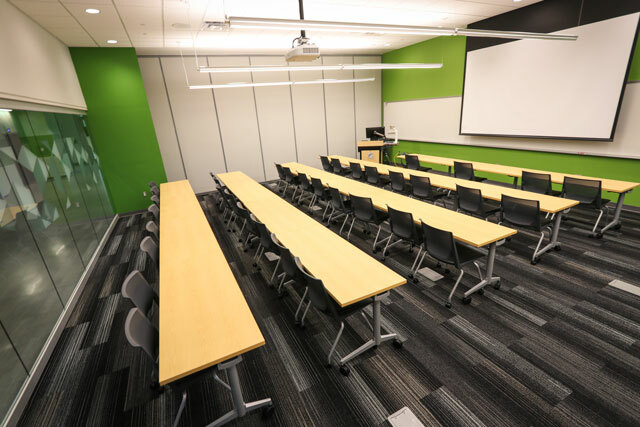 Available for virtually all building project types, LEED certification is a globally recognized symbol of sustainability achievement. 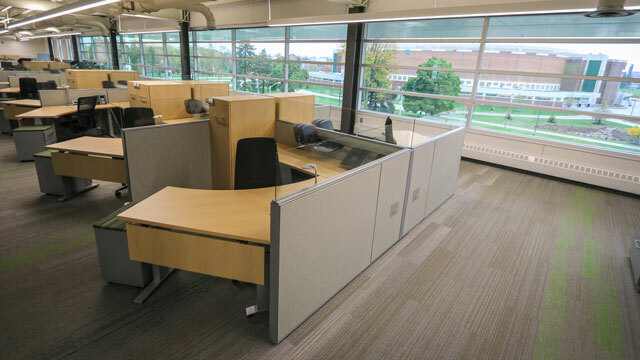 DBI was happy to assist MSU with logistics metrics to meet LEED requirements.